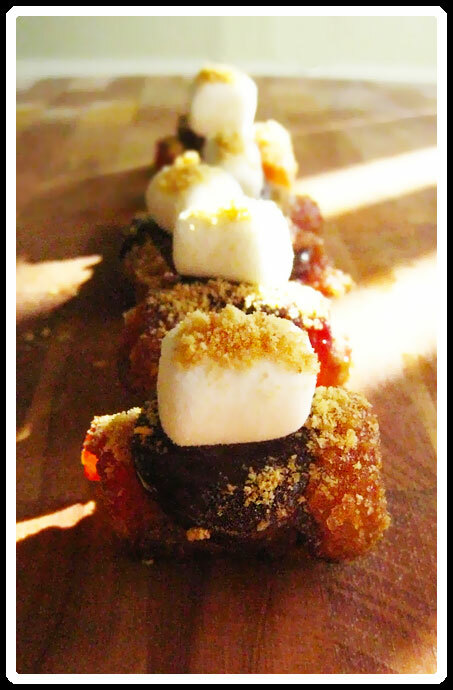 Toasted Marshmallows, Buttery Graham Crackers, Melted Chocolate.... and Grilled Bacon? This sounds like a match made in heaven. My main problem with smores has always been the same... they're just TOO sweet. Too much sugar condensed into a lumpy concoction that sends my brain into coma after every bite. But I think the addition of a crispy, salty strip is just the key to break up the monotony of the sugary sweet. Bacon Smores. Camping soon anyone?